Two weeks of continuous disruption will hit Royal Mail as rotating strike action is planned by the postal workers union CWU. Although postal workers will individually take 2 days of strike action in the next two weeks, the strikes announced mean that there will be two weeks of continuous disruption to mail services. The strikes call out separate functions nationally on different days and the timing is aimed at maximising the impact on mail. “We have contacted Royal Mail leaders on copious occasions, consistently asking for negotiations to find a resolution to the dispute. Royal Mail management continue to ignore the union and its’ workforce. 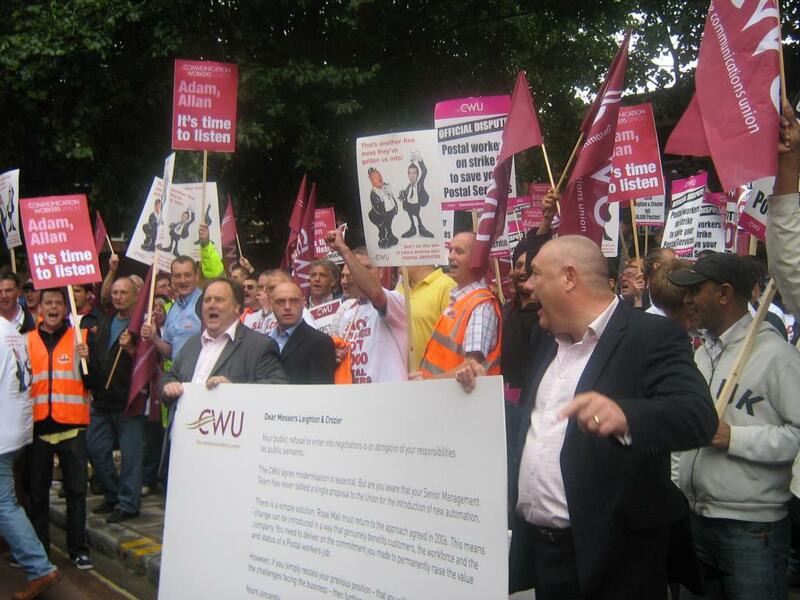 This is absolutely unacceptable”, said Dave Ward, CWU Deputy General Secretary. All international mail will be hit as 1,000, who sort post from Heathrow, strike. Workers are simultaneously being asked to follow procedures, to not start early, use their own cars or take bags that are too heavy. Separate strikes will continue over issues related to post office closures. Meanwhile, postal workers in Oxford voted to continue their wildcat strike action until at least Monday.